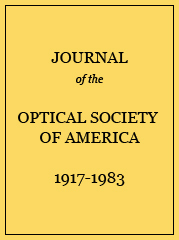 A simple method is presented for finding the modes on those optical waveguides with a cladding refractive index that differs only slightly from the refractive index of the core. The method applies to waveguides of arbitrary refractive index profile, arbitrary number of propagating modes, and arbitrary cross section. The resulting modal fields and their progagation constants display the polarization properties of the waveguide contained within the ∇ ∊ term of the vector wave equation. Examples include modes on waveguides with circular symmetry and waveguides with two preferred axes of symmetry, e.g., an elliptical core. Only a minute amount of eccentricity is necessary for the well-known LP modes to be stable on an elliptical core, while the circle modes couple power among themselves. Modal parameters for a step profile, circularly symmetric waveguide when nco ≅ ncl.